PLEASE CONSULT SIZING CHART BEFORE ORDERING TO ENSURE CORRECT SIZE. 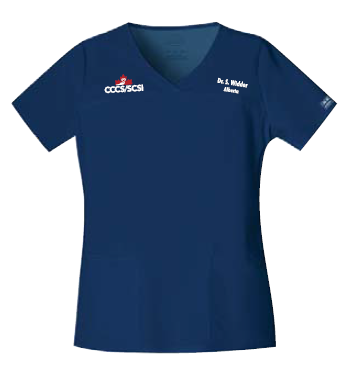 ALL TOPS ARE PERSONALIZED WITH INDIVIDUAL EMBROIDERY, THEREFORE EXCHANGES OR RETURNS CANNOT BE ACCEPTED. 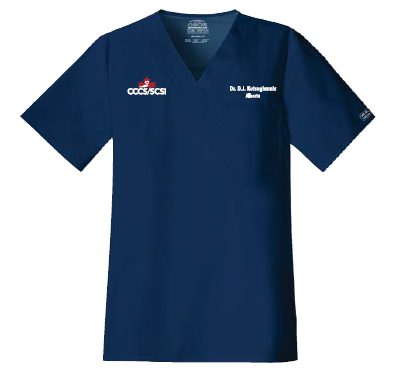 Your scrub top order will be shipped approximately 4-6 weeks from your order date.